Yet another busy week has passed at James Hill Elementary. This week was full of interesting learning opportunities for students and staff! Our Collaboration afternoon on Tuesday provided a chance for staff to work together, collaborate, learn and plan for enhanced student learning. 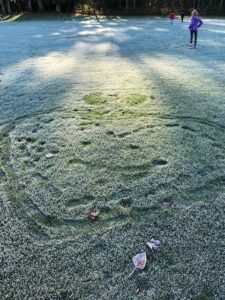 If you are interested in how James Hill staff use their Collaboration time, you may be interested in our Learning in Action post. Follow this link to find out more! This week, staff enjoyed learning more about the Zones of Regulation and strategies students can use to move Zones. Stay tuned as we will be sharing our learning with families very soon! 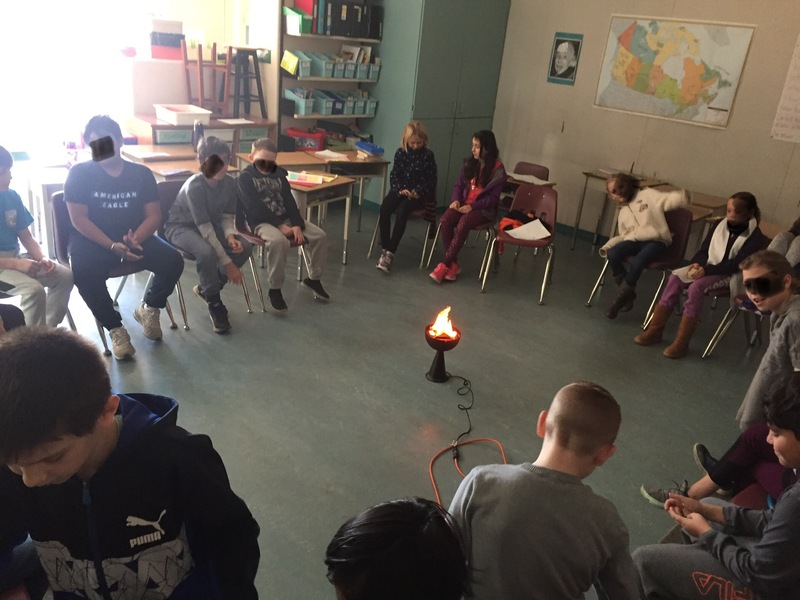 Students were equally engaged in their own collaborative learning this week. 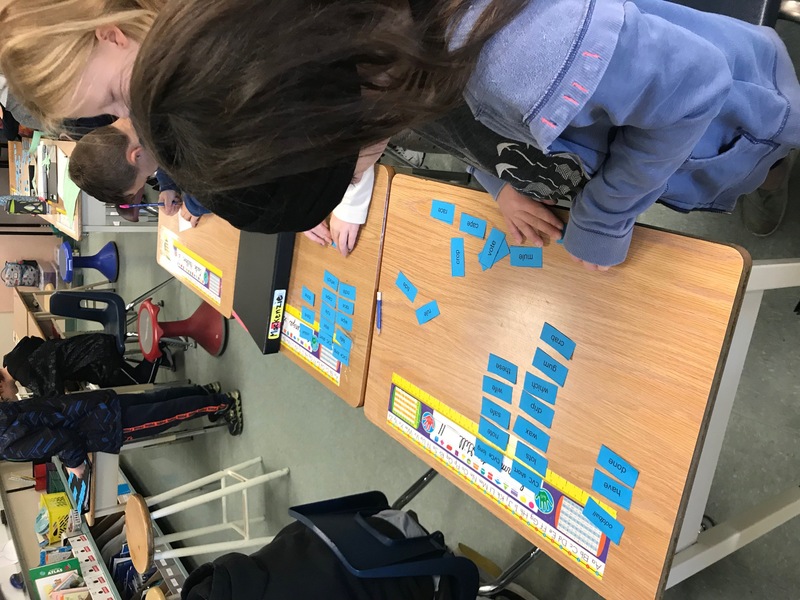 In grade three, students worked together to sort words based on a learned spelling rule. 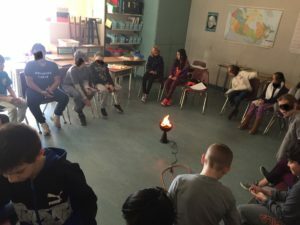 Across all grades, students worked together in their Campfire Peace Circles to build community as each child identified their Zone and practiced respectful listening. 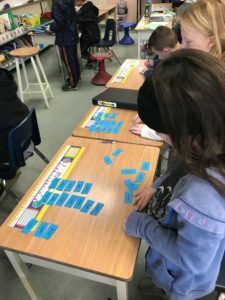 Students are actively using their Zones knowledge and self-awareness to self-regulate their emotions on a daily basis. 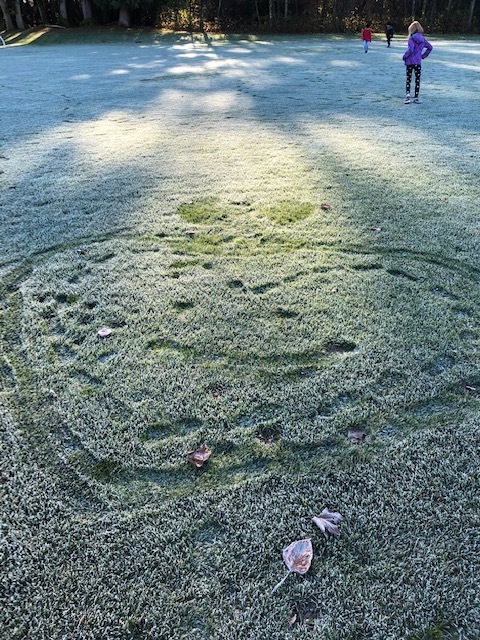 Mrs. Giddings (a retired teacher who frequently TTOC’s at JHE) noticed the students’ curiosity around the frost on the ground one chilly morning. 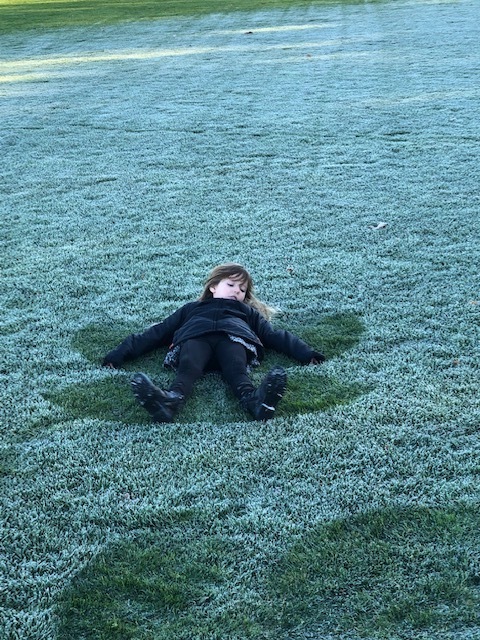 She took the class outside to explain the science behind frost and then the students enjoyed creating Frost Art in the back field! Reminder to all families: Monday, November 26 is early dismissal at 11:30 am for report card preparation. The office is in need of a couple parent helpers to distribute Christmas Concert ticket orders. 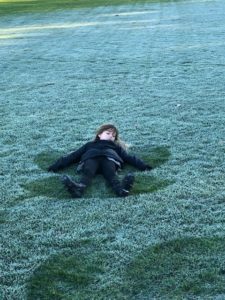 Starting Wednesday, November 28 until December 7 (or later or earlier, as needed), we would need two parent helpers each morning from 8:45-9:15 am (approximately). If you are interested in assisting, please email Mrs. Simonetto at ksimonetto@sd35.bc.ca. Thank you! Christmas concert ticket information will be coming home early next week. Have you joined the James Hill PAC Facebook Page? There are amazing reminders and important information shared here. M&M Food Market Fundraiser (Langley location only – 6175 200th Street) When you shop at the M&M Food Market in Langley, be sure to reference James Hill Elementary at the checkout!! 5% of your sale gets donated directly to James Hill Elementary!!! !